I can’t even describe how good these patacones or tostones are! 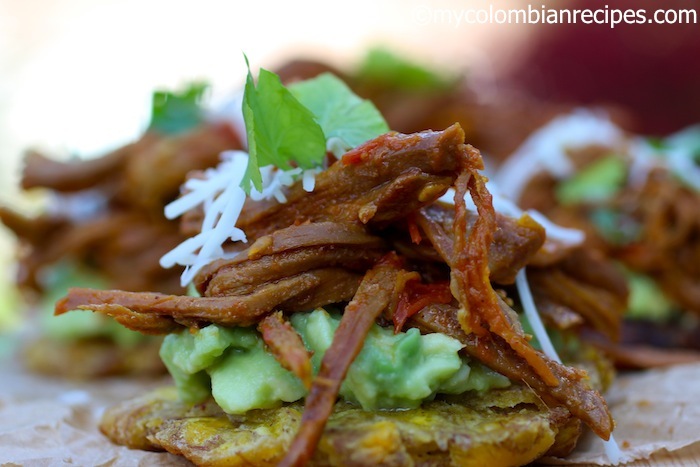 If you’re a regular reader of my blog, you’ve probably noticed by now how much I love patacones and this recipe is one of my favorites. 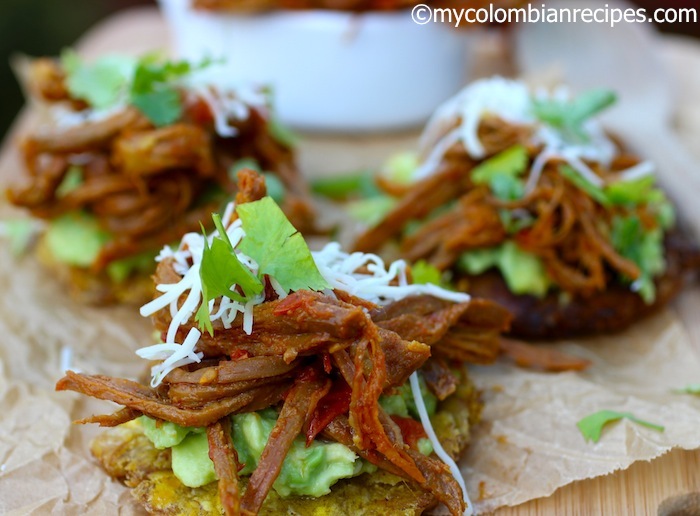 I’ve been making this Patacones con Carne Desmechada recipe forever. 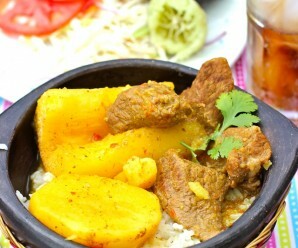 It is a dish that looks and taste great and is very easy to make. This Patacones con Carne Desmechada is proof of how a few basic ingredients can create an unforgettable dish. A delicious recipe doesn’t have to be fancy or expensive to be incredible. I could happily eat this every day for the rest of my life! 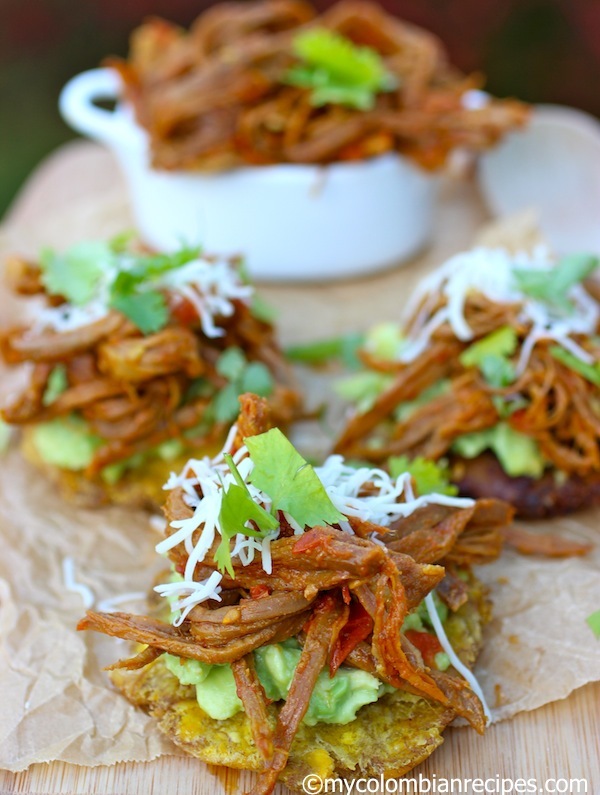 Spread the guacamole on the patacones. 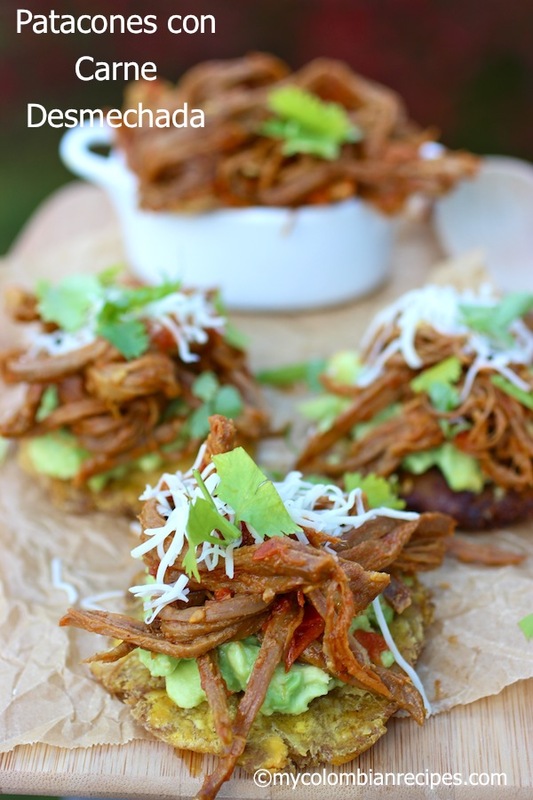 Add the shredded beef and top with the cheese and cilantro. Serve and enjoy. Looks really good Erica! I love plantains,it’s amazing how every culture uses each ingrident! Book marking this one will let you know when I try this! Fantastic combination of fresh flavors! 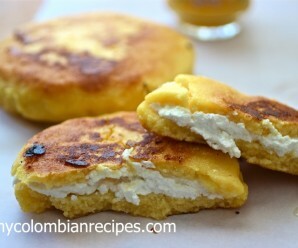 Wow, these look absolutely mouthwatering…plantain as bread…awesome! What tasty bites! so full of great flavor! They look so tasty and the photos are mouthwatering ,Erica. Very appetizing Erica. I would feel guilty eating more then my fair share. 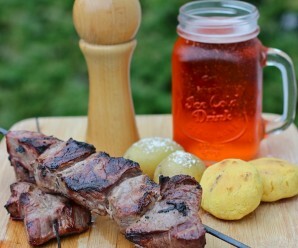 Leyendo las recetas colombianas me estoy dando cuenta que son muy similares a las cubanas lo único que cabían son los nombres. 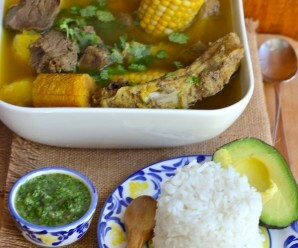 El sancocho nosotros le llamamos ajiaco y le agregamos también camotes y plátano maduro. Mi abuela lo hacia muy rico, ella lo hizo un par de veces aquí en Los Angeles pero nunca el sabor es el mismo porque nos hace falta nuestra tierra. Feliz día de Acción de Gracia y Navidad. Hola, me encanta este blog, me gustaría saber si tienes esta receta. La vi mucho en la zona cafetera en Colombia se me olvidó el nombre pero se que era un patacón entero con Toppings encima, como trucha con salsa de camarones y otros deliciosos Toppings, muchas gracias!